The first picture book in this best-loved series! Winnie the Witch lives in a black house with black chairs and black stairs, black floors and black doors. But Winnie’s cat, Wilbur, is also black. Winnie is always tripping over him! Winnie decides that a little colour is just what Wilbur needs, so she turns him into a green cat. But when he wanders off into the grass outside, trouble soon follows. Can some rainbow-coloured magic save the day? 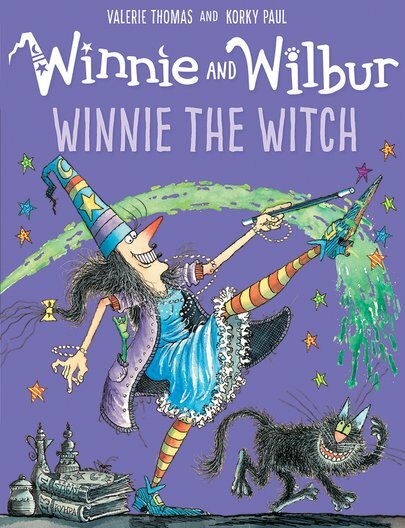 Thirty copies of this classic children’s book to accompany Read & Respond: Winnie the Witch.